Prime Minister Faiez Serraj and his cabinet have ordered arrest and indictment of armed men led by former rival Tripoli Prime Minister Khalifa Ghwell who took control Friday of the High State Council building, formerly used by General National Council (GNC). Ghwell, former head of rival Libyan Dawn administration, supported by armed militia on Friday ran over the High State Council’s headquarters declaring himself back in power and ordering the GNA to sidestep because it failed. Ghwell read a statement from the building calling GNA workers to pay allegiance to him. He was accompanied by former first deputy president of the GNC, Awad Abdul Saddeq and GNC’s head of presidential guard, Ali Ramali. 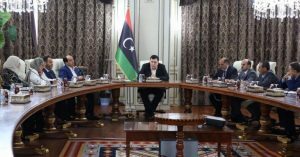 The coup took place while Serraj was in Tunis with his cabinet to discuss the line-up of future Libyan unity government. 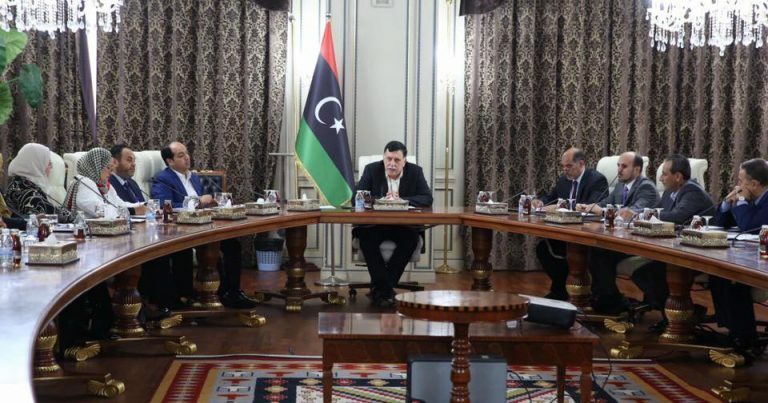 Serraj rushed to capital Tripoli on Saturday to chair an emergency cabinet meeting to address the situation. The GNA condemned what it deemed unlawful action, which further tears the country apart and makes way for anarchy and disorder. The GNA multiplied check-points in the capital to track down Ghwell’s members. GNA’s western allies rallied behind Serraj condemned Ghwell’s action and called on Libyans to oppose division. Head of the UNSMIL Martin Kobler also issued a statement disapproving the coup and reminding the Libyan protagonists that the Libyan Political Accord (LPA) signed in December in Morocco remains the sole political framework to resuscitate the North African country now seething with anarchy and disorder since the fall and death of Muammar Gaddafi in 2011. Serraj and his GNA heroically arrived by boat in Tripoli in March to overshow Ghwell’s administration. Though the GNA gradually took over the country’s ministerial departments, its authority has been waning due to continuous insecurity, lack of cash, regular power cuts, and human right abuses. Written by: Peter Mulvany on October 17, 2016. Posted by Peter Mulvany on Oct 17 2016. Filed under Headlines, World News. You can follow any responses to this entry through the RSS 2.0. Both comments and pings are currently closed.